It was much to my shagrin to learn about a new book that just came out based on Freeman's artwork that has never been published before. His wife saved his artwork in hopes that it could be used one day for another book. That dream resulted in The Day is Waiting by Portland author Linda Zuckerman. In the book, Freeman's illustrations are varied throughout with the use of sketches, drawings, and paintings using several types of media as Zuckerman's rhyming text takes the reader on a simple journey to faraway places and explores the world, while reminding readers that wherever we go and whatever they do, that home will always be waiting there to come back to. This special story written with such love and caring words, makes a wonderful tribute to honor Freeman and his life's work. Stop by the children's room any time between June 1st and July 31st to sign-up. And it's o.k. if you have a child in your family who does not know how to read. They can be read to! With the Tigard Area Farmer's Market and the Bull Mountain Farmer's Market both open for the season, now is the perfect time celebrate local markets and to teach your little ones about how food gets there. 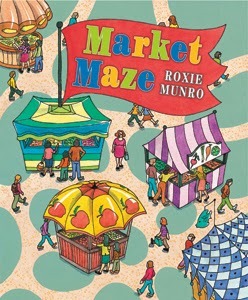 In Market Maze by Roxie Munro, follow the maze of trucks as they take a road trip starting from the coast and head inland stopping off at different places such as apple orchards, dairy farms, chicken coops, vegetable farms, and the bakery as they pick up goods and deliver them to the farmer's market. Each stop along the way gives simple to understand information about the location where food is produced, giving an illustrated aerial-like view of the farm site. Then read a list of items for your child to locate in each of the 2-page spreads. Kids will be delighted and have tons of fun finding objects such as tree houses, deer, roosters, picnic tables, and other items as they make their way to the market. All of the illustrations throughout the book show mazes of trucks on roadways and offer I Spy-like exercises that provide perfect opportunities for learning that food is produced on different types of farms. This book makes a great way to celebrate our local farmers! Attention all story time attendees!! We will be on a 2-week story time break, Monday May 25 through Friday June 5th as we make final preparations for the annual summer reading program! We will have toys available in the Puett Room for little ones to play with during the week. See you the week of June 8th! Did you know that in 2000, The British Association of Toy Retailers named LEGO the “Toy of the Century." 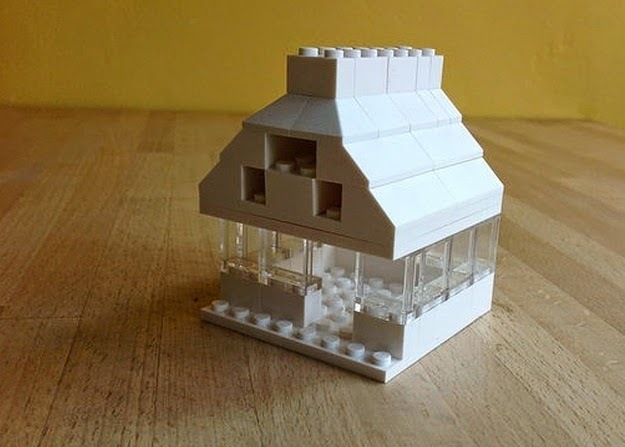 Come to the library May 24th from 1:30-3:00 to play with our Lego bricks. Collaborate with others, discover new ways to build, and enjoy and afternoon of creativity. "Help! My kid is learning to read. Where do I go?" We hear this often in the Children's Room. The intensity varies according to the happenings of the day. We also see bewildered caregivers roaming the stacks eager, but wondering where to start first. The Tigard Youth Services staff have created a little brochure (coming soon!) to help you with choosing books for your beginning reader. Different publishers have different leveling systems. Let your child read at her interest level as well as her reading level. Don't worry so much about literary merit at this stage. Children who are learning to read don't necessarily care about the quality of the writing or plot. They are more motivated to read about favorite objects or characters. When your child is first learning to read, look for books that have pictures in the story that match the text. This is part of the decoding process. Phase 1: When your child knows the alphabet and is eager to begin reading, you know she is ready! First Readers will have big type, easy words, picture clues, familiar objects or characters and require a lot of adult help. Keep it relaxed, though. Nothing quashes a child's enthusiasm for reading more than a critical listener. Phase 2: Once your child is comfortable reading the First Readers, he will be ready to move on to books with easy sight words, simple plot and dialogue about familiar topics and themes. He will still need some parental help. Phase 3: Now that your child is reading really well, she can begin reading books on her own. The books will have longer sentences, smaller type and high-interest vocabulary words. Phase 4: Your child is completely reading on his own in paragraphs. The books are longer and the story plot is more complex. The books will have challenging vocabulary and difficult sentence structure. Phase 5: Your child is ready for First Chapter books! Calling All Elephant and Piggie Fans! We all know Mo Willems is an absolute genius for creating the Elephant and Piggie books, many of which that have won notoriety and awards for beginning readers. No other books for beginners can stand even close to the books, as Mo knows how to write for this crowd and keep them interested in reading. For years I've been trying to wrap my fingers around books that would come close in comparison to satisfy early readers who crave more books like Elephant and Piggie. After all this time, I have FINALLY found the book! Let me introduce you to Ballet Cat: The Totally Secret Secret by Bob Shea! Bob has published a number of picture books over the years, which have appealing characters and humorous plot lines. Now BFF's Ballet Cat and Sparkles the Horse present to readers their humor and wide range of emotions in dialogue shown in speech bubbles that is quick-witted and fast-paced. They are sure to satisfy Elephant and Piggie fans and will leave them wanting more. Three cheers for Ballet Cat and Sparkles!!! Hip-hip-hooray! Hip-hip-hooray! Hip-hip-hooray! Looking for a STEM activity for your youngster? Do you have some newspapers laying around, waiting to be recycled? Then look no further. An exercise in the engineering process is just around the corner. Check out the need play structure these guys built here. This project is ideal for the 3-6th grader, however, younger and older participants can be coaxed into helping. 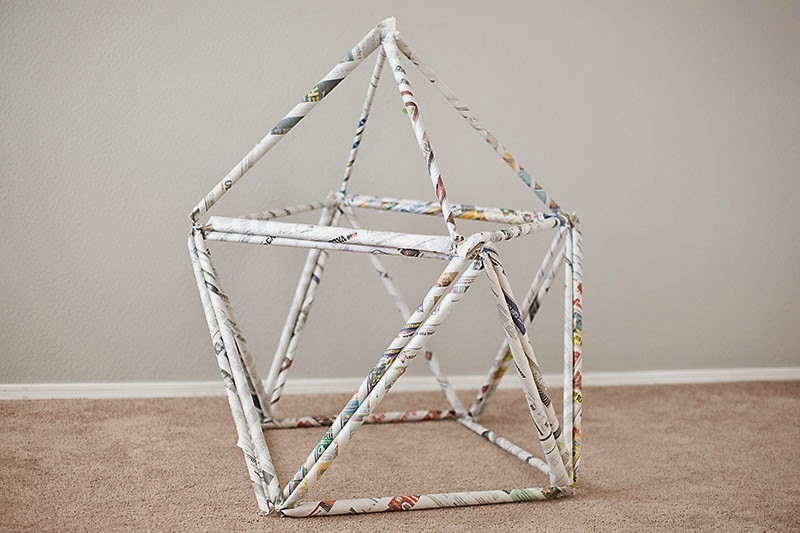 A newspaper tube can be made for the younger child for her to work with while the older child might be convinced to make a more complex structure. April showers bring May flowers! Have your kids bring color and life to the library by helping Miss Janet plant flowers in the library courtyard planters. Then come inside to the Puett Room and enjoy making some flowery crafts. Please come join the fun on Saturday May 16th, 1:30-2:30 p.m.
For those of you parents who attend our story times, or wished you could attend, we have a story time survey available, starting today, running through May 22nd. We are interested in knowing which story times you attend, and if you don't attend any, what dates and times would work for you. This is just a quick, half sheet survey with a few questions. You will find it inside the children's room. All surveys are annonymous. Take a musical trip to a sunny place with the warm acoustic sounds of Alberta Rider Elementary School's marimba ensemble, Zomba! Your ears will be in for one musical treat! Please join us Tuesday May 16 at 6:30 p.m. in the Burgess Community Room. All ages are welcome. 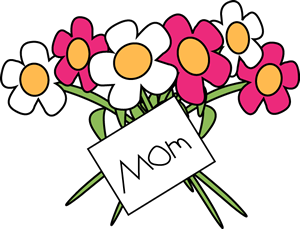 Let’s celebrate Mom at the Library! Join us Sunday, May 10 from 1:30-2:30 p.m. for tea, cookies, music and crafts to share with family and friends. All ages welcome! 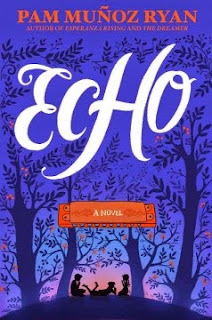 Harmonica Tunes Play On in "Echo"
Echo by Pam Munoz Ryan begins in the Black Forest, where Otto Messenger meets three mysterious sisters where he gets a book from them that contains an unfinished tale. He then finds himself entwined in a prophecy, a promise, and a harmonica. Decades later, the harmonica travels through three children in three different time periods as it unties its lifelong fate. First the harmonica travels to 1933 Germany. Here a young Friedrich Schmidt is constantly bullied at school because of his facial birthmark and his obsession with conducting music that only he can hear in his own head. So he leaves school to join his father who works at a factory constructing harmonicas. Then in 1935, the harmonica meets up with Michael and his younger brother who have both found themselves living in an orphanage during the Great Depression in Pennsylvania. They both get adopted by a woman who they both fear she is not impressed with them and will return them back where they came from. Yet, Mike has his sights on joining Albert Hoxie's Philadelphia Harmonica Band. On it's third stop, the harmonica travels to California in 1942 where Ivy Maria Lopez's father relocates her family to a farm to act as a caretaker while its Japanese owners are relocated to an internment camp during World War II, requiring her to leave her music program behind. While Ivy's school situation and moving frustrates her, she finds solace in playing her harmonica. It is up to Ivy to uphold her beloved harmonica's final destiny. While each of the three protagonists struggle to keep their families intact, they are all tied together by the music of the same harmonica. So don't let the length of this 585 paged book alarm you. It is carefully written and researched, as it pulls readers in, giving them a glimpse of American history, music theory, and music history. The book also includes a introduction on how to play a harmonica. It's a perfect read for any reader in fifth grade on up with a love of books and wishes to spend a lazy day emerged in literature. This book really pulled me in...and I lost a lot of sleep over it too! Runt Higgins might not be the kind of guy that you would typically think might serve an Evil Overlord or even be a Junior Henchman, but he is in training. He’s actually kind of a nice guy, but don’t worry. He won’t be when Critchlore’s done with him, at least that’s the plan. He takes classes like Using Care Around Explosives and Hand-to-Paw Battle. Oh, and did I forget to mention he’s a werewolf? Of course, there is the fact that he has only changed once in his entire life, but he’s just waiting for the next time he gets into a life-threatening situation for his inner werewolf to take over. And with the series of disasters that hit the school, it’s only a matter of time. 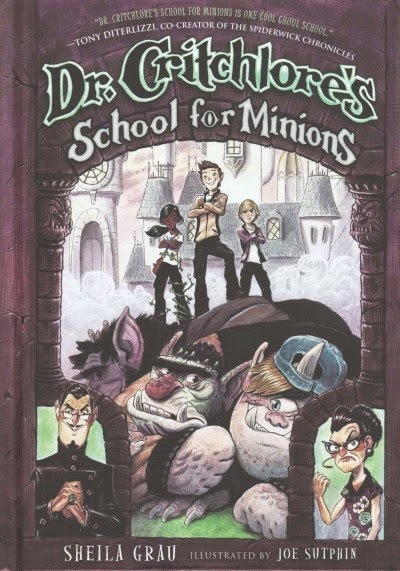 Dr. Critchlore's School for Minions, by Sheila Grau was my favorite children's fantasy book I've read in years. Highly recommended for Grade 3 and up.